1. He has rendered us much help. hi Min Min, what is the difference between yu3 and gei? both mean give… thanks a lot and congrats for your wonderful website! 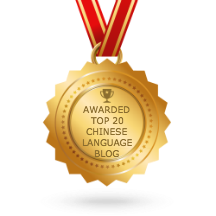 给 can be used as a single word, while 予 normally has to combine with other characters (.e.g : 给) to have a concrete meaning. should not the pinyin for 给予 be gěiyǔ? 给 has 2 pronunciations: gěi and jǐ. It should pronounce as jǐ when it is together with 予. 给予 is pronounced as jǐ yǔ.